"A Clean Home is the Sign of a Wasted Life." I'm by no means advocating a boycott of cleanliness—after all, "neatness counts". Let's just put things into a different perspective. What if "good enough" is just that?—"good enough"? There will always something to clean, reclean, and re-reclean. 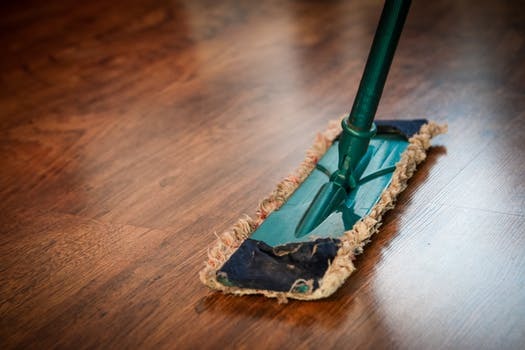 The irony is that no matter the extent of our efforts, sooner, rather than later, the "dirt" will always win, unless of course, you're living in an hermetically sealed sterile environment…..
Dust—Sweep—Mop quickly, and then walk away. Now let me take the really long perspective here. Eventually, we'll either be six feet under, or be part of the "dirt", the earth ("ashes to ashes, dust to dust") we're working so hard to eliminate. So while we gather and remove it in an attempt to keep it at bay for a while, let's begin to see it less as an enemy and more as a curious new acquaintance. I know I'm a bit out there on this however, when I find myself intently practicing "Out damned spot", I remind myself that the dirt will always win. I invite you to make peace with it. There's always something else to keep "clean" ....... Allow Your Self to learn a different framework for the concept of "dirt".